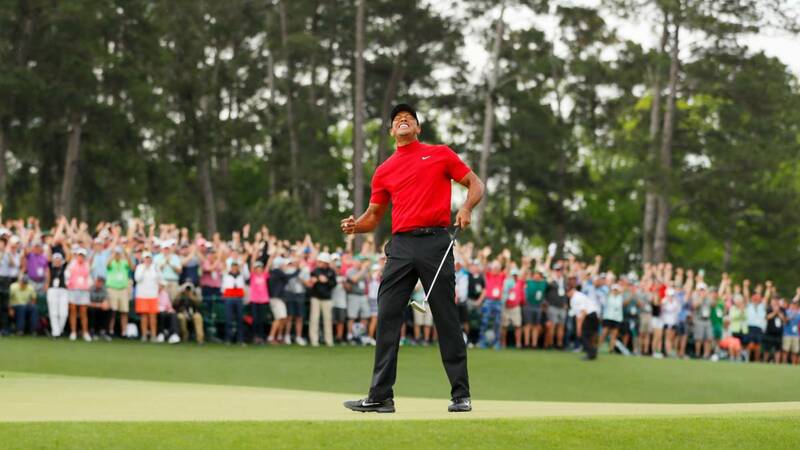 Home Golf "Tiger Woods is now a better golfer than he ever was"
"Tiger Woods is now a better golfer than he ever was"
Jack Nicklaus, with 18 greats, sees Tiger come dangerously close to his record after winning number 15 in Augusta. Jack Nicklaus, already at 79 years of age, watched on television the outcome of the Augusta Masters and there was a moment when he learned that Tiger Woods would win his fifth Green Jacket. "I perceived that I was possessed, I had everything under control. He knew that the rivals would make mistakes and he would not do any, "he said on Golf Channel on Oso Dorado, with 18 majors in his record, which he glimpses as the Tigre, 43, is approaching him very dangerously. He reached 15: "I'm scared, and the next two majors are at Pebble Beach (US Open in June) and Bethpage (PGA in May) where he's already won two majors." Tiger won his first two US Open in those fields in 2000 and 2002. "Now we will go for the best 16, Tiger is 43, but he may be winning until he is 50 years old," said his caddy Joe LaCava. Woods followed that line: "I still do not think about it, I may do it in the future, I enjoy 15", said Woods, which explained how his victory closed a cycle that began in 1997, when Nick Faldo placed his first Jacket with 21 years. "A circle has been closed, my father was with me in 1997 and now I am the father with two children," said Woods, who had not won a major since 2008 and fell into disgrace due to infidelities, injuries and even police arrests. Now his life is, apparently, stable as it showed on the 18 Augusta green, when her mother Kultida, her children Charlie and Sam and Erica Herman, her current partner embraced him. "He is an ex golfer", "he will never return", "is impossible ", were things that were said of the Tiger in his hardest years, especially when in 2017 he was arrested after ingesting a cocktail of drugs and fell to 1,999 of the world ranking. This feat has been interpreted in the United States as the redemption of the hero who descended into the underworld. "It's the best comeback I've seen in the sport," wrote Steph Curry, NBA star, and coincided with Koepka, winner of three big, and with the endless celebrities who congratulated Tiger. Nicklaus, who won his last big with 46 years, he revealed that he did trust the Tiger: "I thought I could win a big one again. He needed health and now he's better than he ever was. " Tiger showed in Augusta a greater handling of drive, in a field that since when he won his previous jackets (in 1997, 2001, 2002 and 2005) he has grown 600 meters. "He never gave the straight ball ... He has a great short game and a tremendous domain of the irons", continues the Golden Bear, who trembles at the sight of his great record. Next stop in May: PGA Championship in Bethpage. Thomas Bach, president of the International Olympic Committee, is aware of the importance of Tiger Woods' presence at the Tokyo 2020 Games: " What a comeback ! Now focus on qualifying for the Games. I'm looking forward to seeing you there. " In Rio 2016, where golf was returning to the program, many stars failed. If it goes Tiger would be a great Olympic incentive.